We had the opportunity to review the online website CashCrunch Careers from CashCrunch Games. So, what do you want to be when you grow up? Well, I am all grown up and sometimes, I am still not sure. I love what I do, but would also like to know what else I may be great at doing. Well, because it is not all about me, I have been thinking about what my children want to be when they grow up. Both of my high school children have an idea of a couple of careers. Although I think that is great, I want to be sure they are aware of all of the possibilities for careers. CashCrunch Careers can help your children (and you) learn of the variety of careers in which you may be successful. Personalities are a great factor to consider when deciding a career to pursue. Sometimes, we take careers at face value. Doctor . . . no, too much blood. Lawyer . . . no, too much arguing. Teacher . . . no, too many children. Just kidding. CashCrunch Games was created by Paul Vasey, who has a degree in business education. Over the years as an educator, he has seen how the topic of money has presented a challenge for students. Through a number of virtual games Vasey has created for children and teens, students are able play games that help them learn how to manage money and hopefully eliminate the intimidation it can cause. CashCrunch Careers is Vasey’s newest addition to his line of products. Determining what career to follow can be confusing, intimidating, daunting, exciting, etc. 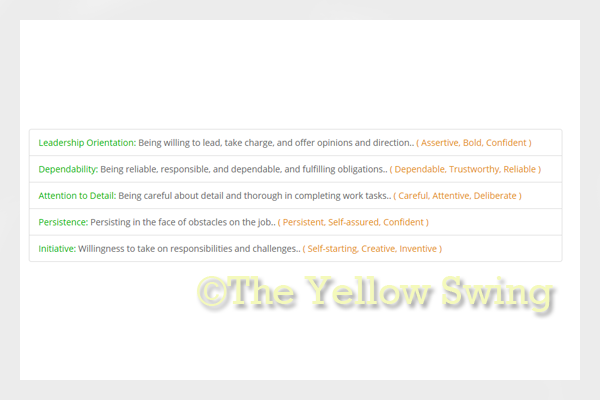 CashCrunch Careers can help alleviate many of those concerns with its 75 question, online survey. We were able to use three of the four subscriptions we received. Although the survey is very easy and quick to take, my fourth person was not available. So, I had River, Lily and me to take the survey, which did not take long. I think the biggest challenge while taking the survey was choosing from two words to define yourself. How do you do that? Something that was helpful is that if you did not know the definition of a word, you could click the word (or hover over it – I don’t remember) and the definition would appear. Lily and I agree that so many of the words described each of us, but you are only able to choose one of the two words. That was hard for me. After you complete the survey, results are quickly returned for you to start learning about careers that may fit you. 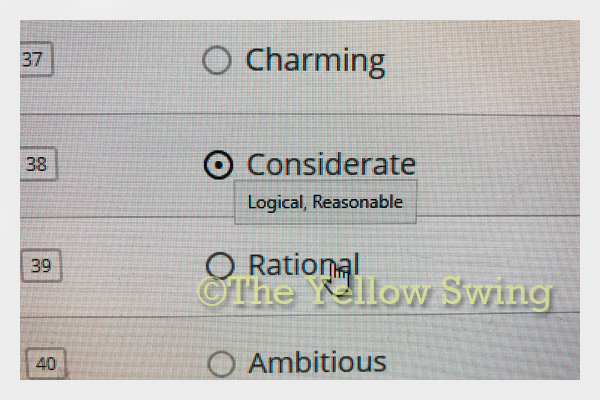 I agree with the career attributes the survey returned for me. The survey returned with 20 of the best fitting jobs different areas of career suggestions for me. 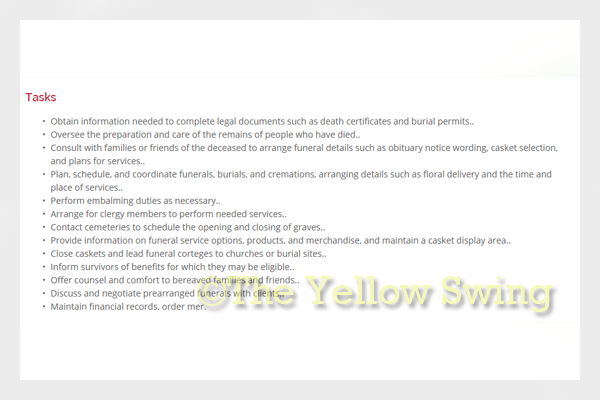 Surprisingly, one career suggestion was that of funeral director, because of these results. It is a career I would have never considered (and probably won’t pursue), but that just gives you an idea of how the survey can help you think outside of your comfort zone about careers in which you may actually do well. Some of the other areas of interest the survey returns are your career work style, and motivators and de-motivators (preferred social settings). It is nice that CashCrunch Careers not only gives you quick results, but also more information about the colleges you may consider for the careers as well as video about the careers. The only problem I have with these types of surveys is I do not put too much faith in the results that are given. I think it has to do with me feeling like I am taking a test and wondering “if I am giving them the me answer, the answer they want to see or the answer I feel like giving”. Also, depending on how I felt that day. A math test is only one way. When you start talking personalities, we are all so fickle. I may be jaded. 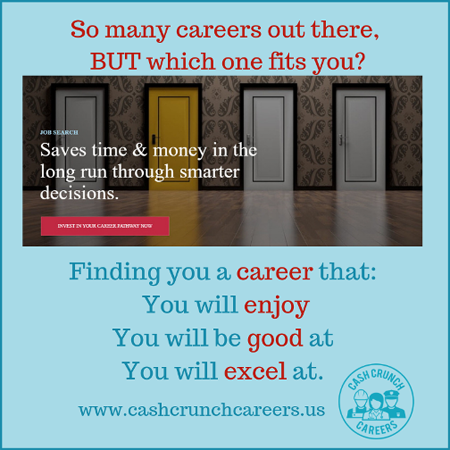 Although River, Lily and I got similar results for career suggestions, CashCrunch Careers did open their eyes to some other careers they may not have considered. CashCrunch Careers is available for $99.